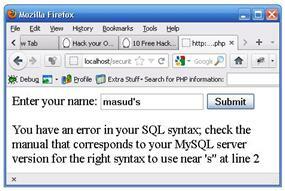 In this post we will discuss a very common method of hacking a website (or rather, a database) called SQL Injection. The object of this post is not to help anyone destroy/deface other websites, but to help you protect your website from such an attack. In this post I will explain the basics of how SQL Injection works and in my next post I shall focus on what can be done so that your website does not become a victim of SQL Injection. Web applications allow legitimate website visitors to submit and retrieve data to/from a database over the Internet using their preferred web browser. Databases are central to modern websites – they store data needed for websites to deliver specific content to visitors and render information to customers, suppliers, employees and a host of stakeholders. User credentials, financial and payment information, company statistics may all be resident within a database and accessed by legitimate users through off-the-shelf and custom web applications. By the way, if you go over at this website loanovao.co.uk, you’ll learn how to deal with the financial crisis that you’re experiencing whether in business or bills. Web applications and databases allow you to regularly run your business. Try to execute it and enter the right user. We intentional publish the SQL so that you can know on how the sql is actually happens. Next, we are trying to input any username that is not in database. According to www.securityinfo.com/security-information/, there were 245 million professionally installed video surveillance cameras active and operational globally in 2014. While the majority of these cameras were analog, over 20 percent are estimated to have been network cameras and around two percent HD CCTV cameras. Next, we are trying to enter it even we don’t know about the true user. ; from SQL, from exec(), etc. Username and password using alphanumeric. The first way, the visitor is obliged to do the registration by using username and password with alphanumeric. Alphanumeric is abbreviation from alphabet and numeric. User must use the alphabet letter and number. Alphabet means the letter of a-z and A-Z while numeric means 0-9. By using alphanumeric, you already anticipate the input possibility in using another character. In above, the line code is examining whether the content of the $uname and $pass is alphanumeric or not. If one of the content isn’t alphanumeric, the process will be stopped immediately. The second way, you just validate your user input using regular expression. You have been known a little bit about SQL Injection above. Now, we are going to discuss more about the attack possibilities through SQL Injection deeply. If in the XSS, it has the impact to the visitor who visit/open your site, and then in the SQL Injection, it attacks directly to site itself. The main target of this attack is your database. Usually, the target of this SQL injection is to break your data. It uses strings which contains of query that is going to be executed by database. It could be mean that it breaks the data that is published, modifying the data, or even deleting the data. If you put a name, then you will get the data that you want. So, there is a fad people who enters masud’ or ‘1. The result will be as in the picture 6. You have been introduced about the problems of the magic quotes in above. You can practice the previous example when the magic_quotes_gpc status in the off position. It enables the single (‘) or the double (“) quotation mark is slip away. It simply brings a problem when you input the word with the quotation mark in it such as masud’s. The problem is that, for example, our application is built in the magic_quotes_gpc status in the off position, then its server uses on position. How to solve this differentiation? If in the off position, we add backlash (\) before the quotation mark while in the on position, we just let it go. If we already add backlash and its server is in the off position, then it will become a problem too. How to solve this problem? With the above condition, you don’t care whether magic_quotes_gpc is in the off or on position. 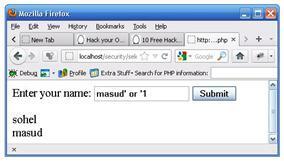 Though you allow the quotation mark input to get through, user can also change it as in fulfilling masud’ or ‘1. We supply the user searching facility by using their id. Hopefully, the searcher enters the user id number that is searched. But, the user isn’t only done this thing. They also do another thing such as entering 1 or 2. The result is that there are a lot of competent users. Not only one. To solve this problem, you have to make sure about the data type that is used. We have to verify whether the data is the same with our hope or not. If not then we have to change it. Example, you just add (int) to input the integer datas. 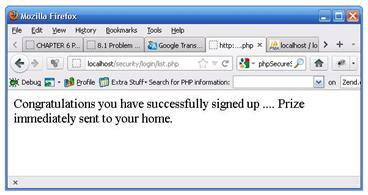 It can be able to that XSS changes your web appearance. 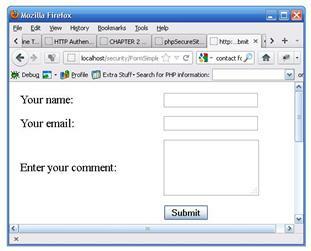 When the page is published, the codes that are inserted are going to work so that your web appearance is change. You know that it will happen because the code that is inserted is client side code. Direct action, where the injection input is only published into the injection user. Stored action, where some of the visitors candidate sees the injection content. It is very dangerous than direct action. After you already known on how this attack happens, now, it is time to protect your site. 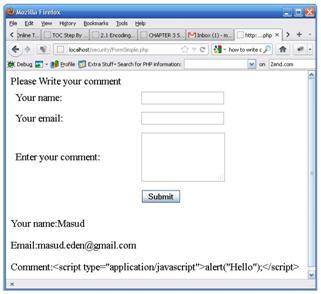 There is one way that you can use to prevent XSS such as the using of encoding, the handling of HTML attribute, filtering, etc. If you use this way means that you are encoding the special characters which have meaning in HTML language such as < (less than), > (larger than), & (ampersand), ” (two quotation mark), and ‘ (quotation mark). 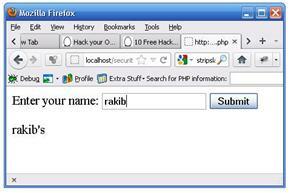 All of these special characters will be convert into HTML entity such as & will be changed into &. Executing that program code and entering the input as we have been done in the previous exercise. The result will be as in the picture 2.3. You can see that the input isn’t considered as HTML but it already publishes as the usual text. You must be already known about the strip_tags() function in PHP. 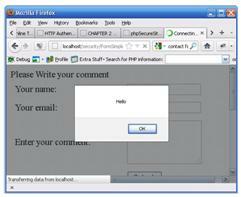 This function will discard HTML inside the string that is inputted. 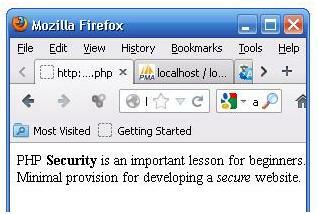 $input = "PHP <b>Security</b> is an important lesson for beginners. You just let the strig_tags() know that there is an exception so that the user will not act over. You still allow the user in using <b> and <i>. This technic gives freedom to the user in using the HTML tag that is already allowed. Usually, you give this exception in the discussion forms, send writing, etc. Operator FILE in SQL is the thing that you should have to watch. This operator has a freedom in the data searching that can be used by user. Here is the example of showing the name based on its initial letter. Means that the order publishes all of the users that contains of the word ‘a’ and not only the word with the initial word ‘a’. 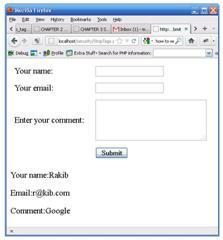 We oftens find the include file that is given with extention .inc. These files contains of the data that is often used. It is better for us to put the code lines into one file that is include file better than if we write it. Sometimes, this include file contains of the important data such as the data to access database. If we just only give named with connection.inc, the visitor can be able to access the file and can see your big secret. It’s too dangerous. So, we have to protect it. You can protect it by using the facility access in web server such as .httaccess in apache and adding the following code. It means that all of the .inc file cannot be accessed. 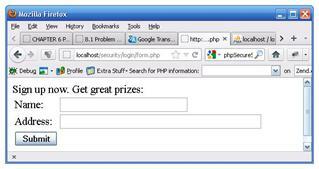 Code injection is the vicious attack which can dangerous your site. Code Injection can cause many things. It can do many things as the things that can be done in php, steal information, modify database, change the local file and script, and compromise with your computer system! In this chapter, we are going to learn anything that can be done in PHP to prevent these problems. It needs to be brought into beginner in PHP programming and also for those who already get an order. We oftens use include or require. It is one of the ways to enter into our application. To save it, we need some steps. The first step is to correct the code. Unfortunately, it stills have a risk toward the infiltrator. If the variable value is modified by the visitor then it could be possible that we cannot find a file that we want. It also has a risk toward code injection. The risk of this model is that if the directory cannot be found, it will become the fatal error. About this variable, we always warned in using register_global. Some of the written also asks us to becareful with the global variables. Once you got injection, it can spread into some places which need the variable. Now, we are going to discuss about technic that is used by the web page form to prevent the input release which is done by machine automatically. This technic is called Captcha. Congratulations you have successfully signed up .... Prize immediately sent to your home. 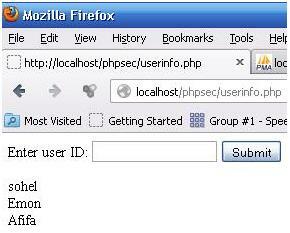 In that list page, the visitor data will be taken into database. If succeeded, “the present will be sent immediately…”, that’s the promise. Now try to input one data or some datas. Is that all? Yes, you’re right. 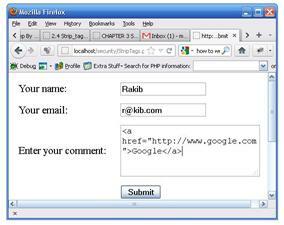 Although it just consists of few lines but it is potential to attack form web. Try to execute the page. Next, open your database. Look to see that the table already contains of 100 datas in the easy way. Imagine if the code line is looping a thousand times by a lot of fad users. The result is that our server is down and our database fulls with the datas that we don’t want to. To prevent this attack, we need verification that cannot be done automatically. It means that the form needs an extra step which can be done by the human touching in order to get send the form. The solution is using Captcha.